Spring is upon us, and simple looks are in play! I have listed my professional suggestions and products to achieve a simple and flawless look for the spring season. 1. Start with a clean, fresh face and use your favorite moisturizer. 2. Use an oil-free primer. Motives Complexion Perfection Face Primer acts a veil to protect the skin. Primer also helps set your makeup as well. 3. For a lightweight finish and look, use Motives Full-Coverage Photo Finish Powder. 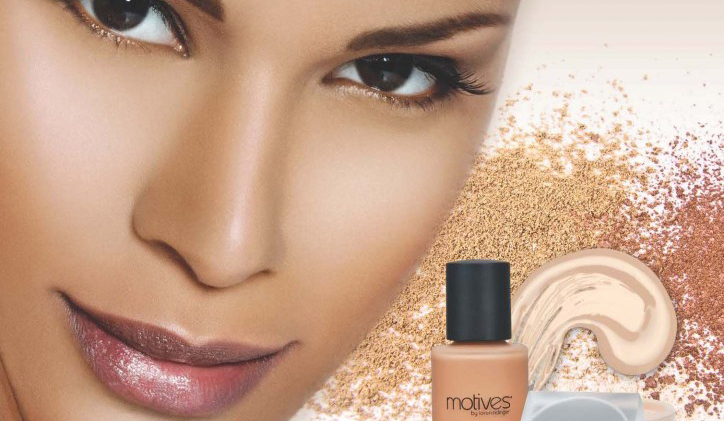 If you prefer foundation, use Motives Customized Foundation and or Motives Liquid Powder Mineral Foundation with SPF 15. I also recommend using a powder to set the foundation. It will give you a more matte finish! 4. For your eyes, use Motives Lustrafy Waterproof Mascara that resists smudging and flaking. 5. For a light and subtle look, add a little color to your cheeks with blush! Simply sweep Motives Mineral Blush along the cheeks. 6. Set your makeup with Motives 10-Years Younger Setting Spray, which will help control oil, mists on weightlessly, and helps keep your makeup matte and flawless! 7. We often forget about our lips in our beauty regimen, but it's important to protect them with a Motives Vitamin E Lip Treatment. Add Motives for LaLa Mineral Lip Shine to make your lips pop! These seven simple steps and products that will guarantee you a flawless face! I always like to remind my clients of the importance of hydrating, so make sure water is included in the regimen! All the products mentioned can be purchased online at www.plbeautycartel.com.